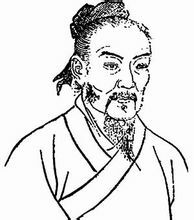 Master Lu Ban was born 507 B.C. and died 444 B.C. He was a marvelous inventor. All the engineers and carpenters refer to him as master. 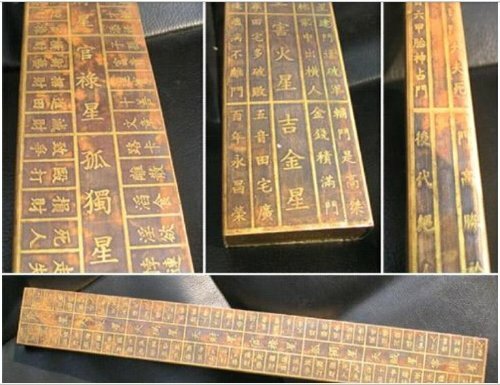 Lu Ban’s ruler is a measurement tool for construction of housing, palaces, altars, shrines, memorial tablets of deities, and graves. It’s similar to today carpenter’s curved ruler. Length is 42.9 centimeter, cm. It was invented by Lu country’s Gong Shu Ban during Spring and Autumn (Early East Zhou Dynasty). 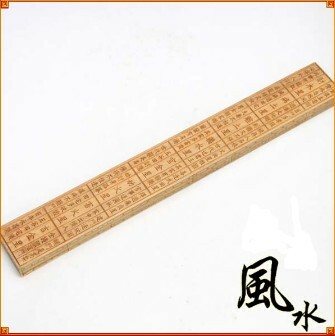 It was added with Feng Shui 8 characters in order to measure housing, called ‘door meter’, which is for examining after whittling, the board and structure, if it is vertical and the side edge is right angle. It has the function in Chinese Fengshui culture, architecture. He invented carpenter’s ink marker, planer, saw, and driller. 墨斗【mòdǒu】 carpenter's ink marker. 刨【bào】 plane down; planer; planing machine. 鋸【jù】 saw; cut with a saw. He invented a wood bird that can go into the sky by wind power and stay there for 3 days, this is pioneering aviation science. Lu Ban also modified a carriage and it became mechanized wood vehicle horse driven. It was controlled by a wooden man with gadgets to walk freely. Lu Ban made mechanized weapons to attack the cities. But later gave up these harmful weapons. The ‘corner ruler’ is to measure the board, Santalum album, and structure whether they are vertical or right angle. 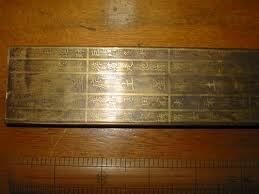 Lu Ban also invented the DingLan meter, which measures altar, niche, shrine, deity memorial tablet. Geomancy (Greek "earth divination") is a method of divination that interprets markings on the ground or the patterns formed by tossed handfuls of soil, rocks, or sand.